Kolkata: THE second edition of the Joint Indo-Bangladesh Army Cycling Expedition moved into Kolkata today evening. The expedition, which will last till 26 March, kicked off today morning from Jessore in Bangladesh. Major General Md Nayeem Ashfaque Chowdhury, General Officer Commanding 55 infantry division of the Bangladesh Army flagged off expedition at Jessore Cantonment. 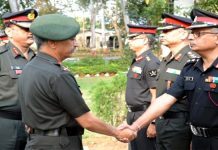 The 47 member expedition team has 20 officers, four junior commissioned officers/warrant officers, and 23 soldiers from both the Indian and Bangladesh armies. 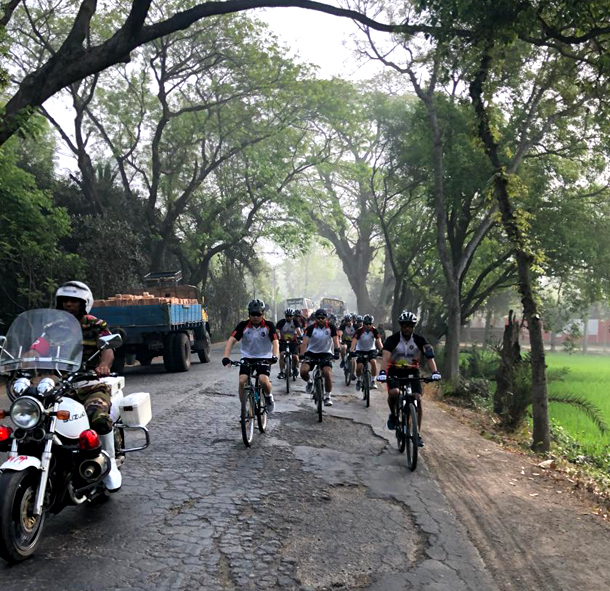 The team reached Petrapole in North 24-Parganas today noon and then cycled through Jessore Road-Dum Dum-Salt Lake and parked themselves in an Indian Army establishment near Nicco Park for the night. The expedition will traverse over 1,200 km across Bangladesh and India and will transit through Kolkata, Burdwan, Berhampore, Malda, Raiganj, Siliguri, Jalpaiguri, Binnaguri, Cooch Behar, Burimari, and Lalmonirhat. It will be flagged in on 26 Mar at Rangpur in Bangladesh. 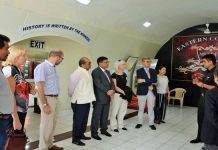 The genesis of this cycling expedition dates back to the Sixth Annual Army-to-Army Staff Talks of the two countries in 2016 wherein, it was decided to promote bilateral friendship through joint adventure activities. 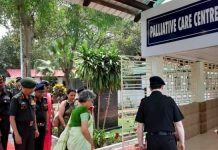 The team members will be visiting historical places of 1971 Indo-Pak War during the course of the journey and interact with war veterans and Mukti Bahini members en route.